Our company began as a small service business many years ago. 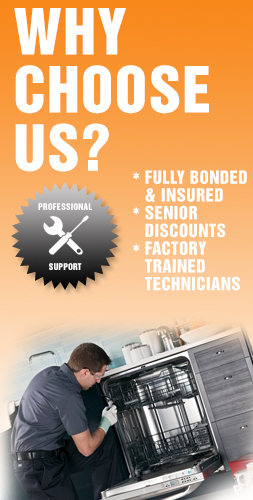 Today, we have teams of certified technicians, providing reliable appliance repair service to the citizens of the entire Los Angeles area. We have a simple business philosophy that can be summarized in two words: efficiency and reliability. 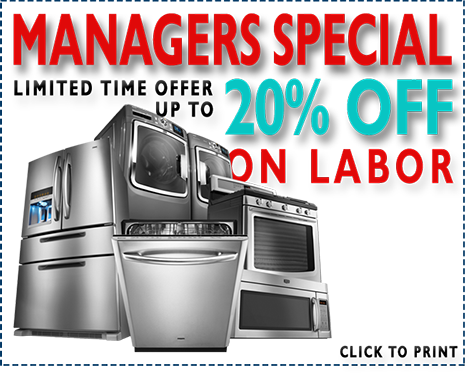 We know how a broken appliance can disrupt your daily routine or your business. That is why we believe that the repair needs to be done as quickly as possible. Our vehicles and technicians are always ready to go, and waiting for your call. Over the years, we have perfected our response system, and we are now able to provide same day service to any location in Los Angeles. We understand the value of your time, and will never keep you waiting more than necessary or waste your time by doing our work in an unprofessional manner. The second aspect of our business philosophy is this: the speed of our service does not come at the expense of the quality of our work. So, giving our best to diagnose the issue and complete the repair as quickly as possible does not mean we are going to lose focus and make a mistake. We always remained highly motivated to perform the job at the highest quality level possible. Our technicians are certified and experienced, but they are also selected – only responsible professionals who take their job very seriously are hired by our company. If you wish to learn more about our company and the services we provide, please do not hesitate to give us a call any time. Our Licences number is 876154. © 2007- 2019 All Valley Appliances. License #876154. All Rights Reserved.